Not sure whether it’s better to lease or buy a car? There’s no one-size-fits-all answer. These questions will help you get clarity. The fear usually strikes the night before you step onto a car lot. Would it be better to lease or buy? Wouldn’t it be great to have that lower payment with a lease? Yeah, But isn’t leasing kinda like renting a car — and throwing money down the drain? If leasing a car is such a waste of money, why is it that so many people who work in the car business lease their vehicles? If questions like these have worried you in the past, you’re not alone. Leasing vs. buying a car is a question that haunts many car shoppers, and with good reason. Your vehicle is one of the biggest financial commitments you ever make. The choice will have a significant impact on your cash flow and lifestyle. At Apple Autos, we’ve seen more than a few customers who look bleary-eyed from worries like these. But you don’t need to worry anymore. We help those customers find the right deal, and we’re here to help you too. Wait. Why Should You Trust a Car Dealer for Advice? That’s what you’re thinking right now. Don’t worry, we get it. In fact, we’ll be the first to tell you: Ordinarily, you shouldn’t. But here’s why we’re different. 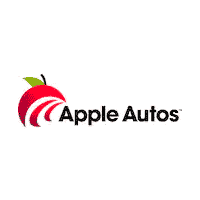 Apple Autos doesn’t use the profit-based commission system other dealerships use. In fact, our associates are paid the same regardless of what car you choose. That means our only goal is to help people like you find the perfect match and stay happy for years on end. That means we can level with you in a way that most other dealerships can’t (or won’t). We’ve been in business for more than 25 years. During that time, we’ve made thousands of deals every month. From that experience, we’ve developed a system for helping customers like you identify exactly the right vehicle — and exactly the right deal. Because each person has unique needs, whether it’s better to lease or buy is different for each person. But as we’ll show you, with a few minutes of prep work, you can get complete clarity on which route will be best for you. how long you’ll have the car. Leasing is an opportunity to take possession of a vehicle for a set period of time, typically 24 or 36 months. After an initial deposit (including tax, title, license, and money down), you’ll make a payment each month. The payment will be lower than if you were to buy it (we’ll explain why in a moment.) At the end of that period, you return the car to the dealership. In buying a car, you own the vehicle outright for as long as you want. A small percentage of people pay off the car in a lump sum. But most finance their car over a period of several years. These payments usually go on for a longer period of time (5 years, or 60 months, is a common one). The payments will be higher amount than if you leased the vehicle. There’s also some sort of payment at the outset of the lease — usually to cover the cost of tax, title, and license fees (thanks, Uncle Sam!). There may also be a down payment. The Benefits of Leasing: What’s in it For You? Leasing a car is always a more affordable alternative to buying that car outright. Let’s say a new truck lists at $45,000. The manufacturer says the residual value for that truck after 3 years will be $35,000. If you were to lease that vehicle, you’d pay only on the difference between those two numbers. You’d be making payments on $10,000 — but driving around in a vehicle worth $45,000. Manufacturers have an incentive to keep those residual values high. Why? Because they want their cars to have higher resale prices when this year’s models start coming back to car lots. The result? A lessee pays even less for the new vehicle. That’s a big reason why so many people who work at dealerships choose to lease: You pay less for a more valuable car. That being said, there is a catch. Once the lease ends, you have to start the process over again. Sure, you have the option to assume the remaining (residual) balance of the vehicle after the lease period and purchase it outright. But that is often a more expensive way to go compared to if you’d purchased the vehicle from the get go. What most people do at the end of their leases is lease another vehicle — which isn’t necessarily a bad thing. You get another new car while making another lower-than-market-value payment. But some people aren’t comfortable with the lease/new lease cycle, which is why it’s important to assess your own preferences. What Do You Like More: Having a New Car, or Owning a Car? Do you have fear of automotive commitment, or hate the prospect of selling your own car? Is so, the ability to shed a leased vehicle every three years or so is a big benefit. It frees you up to hunt down your next conquest and not get stuck with an aging car. Many shoppers like the easy-out of returning a car once the lease runs up. How Do You Feel About Car Maintenance? The length of most leases on new vehicles coincides with the length of most car warranty periods. In most cases, you won’t be on the hook for anything other than normal wear-and-tear during the duration of your lease. Once your 24- or 36-month period is up, you turn in your car. Any issues that may arise during the rest of the car’s lifetime are someone else’s problem. When you own a car, you also own anything that goes wrong with it. That can mean big repair bills over time — especially as the car ages beyond its factory warranties. So while a paid-off car means you don’t have to shell out a few hundred bucks each month, a single four-figure repair job can erase those savings, fast. Lease contracts usually cover up to 12,000 or 15,000 miles per year. If you drive farther, you’ll have to pay an extra charge — usually 15 to 25 cents per mile, which can add up in a hurry. Bottom line: If you have a long commute to work or like to take big family road trips, leasing might not be your thing. Do You Beat Up on Your Cars? There is an expectation when you lease that you’ll keep the car in good condition. Damage to the exterior or interior of the vehicle can result in penalties for repairs. So if your life is messy — or your dog or kids make it that way — you may be better off in car you own outright. Leasing Vs. Buying: What’s Better for Taxes? But leasing a car can mean significantly greater tax savings if you have a business entity. Those benefits depend on a number of variables, including individual state laws and what type of business you have (S-corp, partnership, etc.). You drive the car more for business than personal use. In fact, your business use has to constitute at least 50% of your mileage to qualify for the lease writeoff. The tax write-off will be directly related to what percentage of your driving is for business purposes. You can prove that your business requires a luxury car. The IRS limits how much a business can write off a luxury automobile that it owns. But if you lease a car that’s used for business, your business can claim a greater percentage of that lease payment as a write-off. Leasing is also a good option for a business owner concerned about depreciation. Why? During a lease, the payments are calculated on a projected residual value that estimates a car’s depreciation over the lease period. That means you’ll have an upfront idea of what your car will be worth once the lease is over. Meanwhile, buying a car outright is a bit more of a gamble for depreciation. You may wind up with an asset that’s less valuable than you (or your accounting department) projected. By removing that long-term variable, you’ll know exactly what you’re getting for a fixed period of time. Lastly, to help you get even more clarity, here are answers to some of the most common questions we hear from customers. Some dealerships offer this, but we generally don’t recommend it. The practice wipes out many of the benefits of leasing, since it starts with a vehicle that’s less valuable and reliable. There are ways to get out of a lease. For example, some refinance loans enable you to change your lease terms or negotiate getting you out of a lease early. But using these loans can sometimes cost you more than if you’d let the lease run its course. Can You Return a Leased Car? Another question that often comes up is if it’s possible to return a leased car after 30 days. Some dealerships may allow you to forfeit your lease if you put the remaining payments towards a new car, but usually there’s a penalty involved. We’d definitely recommend against it. In fact, that’s one reason why we offer a 7-day money-back guarantee on new vehicles. We want you to be certain that the choice you made is right for you. Be sure to ask about the return policy at any dealership you work with. Here are 10 other questions that will help you get the best deal.